Vacancy: There are total 582 vacancies available. Name of Posts: 1) Civil Engineering 2) Electrical Engineering 3) Mechanical Engineering 4) Electronics & Telecommunication Engineering. Educational Qualification: Graduate in engineering in respective discipline. For more details about essential qualification, refer to official advertisement which is given below. Application Fees: Rs. 200 for General/ OBC candidates. No application fee is required for SC/ST/PWD/Female candidates. How to apply: Eligible candidates are required to apply online through official website www.upsconline.nic.in. For official notification, syllabus, exam pattern details for UPSC engineering service recruitment 2014 exam, check here. 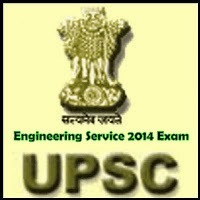 0 comments for " UPSC Engineering Service 2014 Recruitment Exam details "